Jackson & Lily: Pictured here with their fabulous teachers, Jackson with Mr. Ball and Lily with Mr. Aasen. Grade's 7 & 5 have been great for both of them and I believe it has a ton to do with these wonderful men. Their report cards were awesome with so many kind things said. This year will be hard to top. 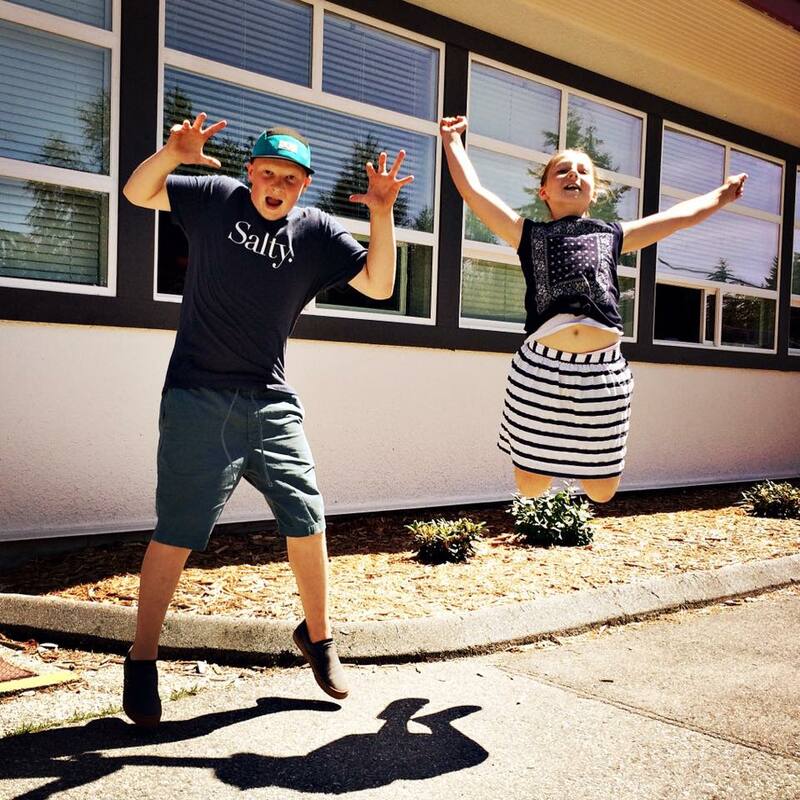 Below is there "school's out for summer" jump picture. Yippee!!! That's some fabulous jumping - yay for summer holidays!